When cyclists ignore this cycle path to nowhere, motorists are likely wondering why those cyclists aren’t using the cycle path. It’s along the Coast Road between Baldoyle and Portmarnock in north Dublin where a small section of the road was “upgraded” as part of a route into a new housing area. 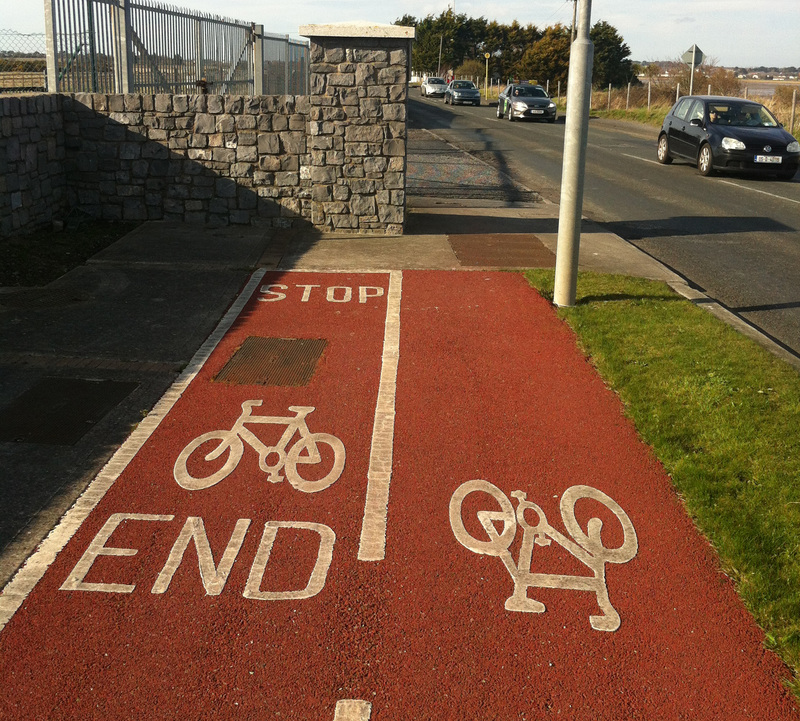 This two-way cycle path was included — totalling 160 meters on the Coast Road, including losing priority at a unmarked crossing point on a roundabout. After this epic 160 meter cycle path ends, apparently there is no need for a small ramp to allow cyclists to get back onto the road. And the message of the stone wall is clear: Even in boom-town Ireland when this was built, the cycle path was not going to be continued any time soon. At least the Council have a sense of humor, not much sense otherwise it seems, but a sense of humor at least.